Pretty soon the living will be easy….3 more days of school. WooHooo! 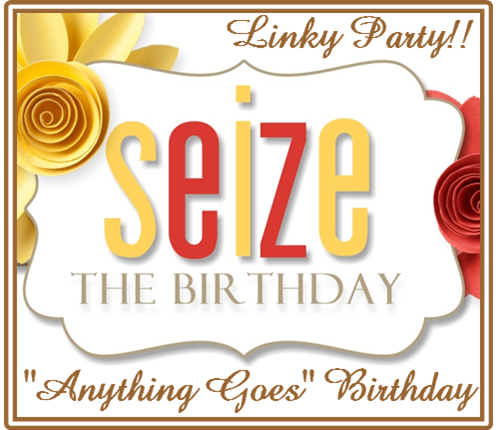 be a great “Topping” option over at Seize the Birthday this time around! the envelope and use a Doily stamp from Stampin UP. still out for me, I am undecided how I feel about this card. to my DP, then they do in my photo too. I made the clouds myself. The pennant die is from MFT. The sentiment is a Studio G from Michaels. The paper is from Fancy Pants-titled Parkbench. means to them and then show us what it means to YOU! Categories: Cards | Tags: Card making, Cards, Happy Birthday, rubber stamps, stamping, Stamping Up | Permalink. Love all of the summer colors. This is a outstanding card. Love those clouds too. i actually LOVE that you used a doily for the sun!!!! very chic! This is so pretty Nancy. I love the colors and your design. A perfect summertime birthday card. Love your summer card and that very fancy sun. Great colors here, so calming and pretty! Using the Doily stamp for the sun was genius! And I think your clouds are amazing. Great card Nancy! 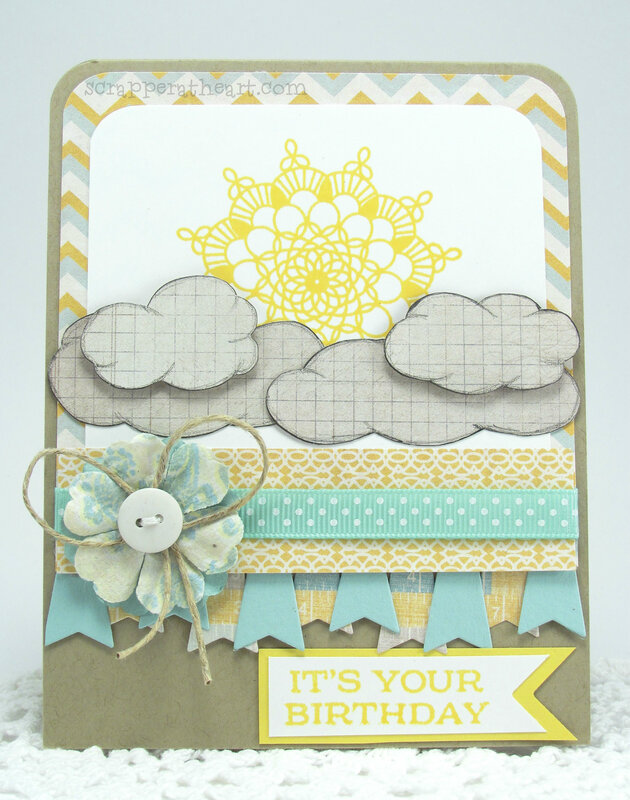 LOVE how you used nontraditional things on this card like the medallion for the sun and the graph paper clouds! LOVE this card! GREAT color combo too!